Most people associate a beautiful smile with bright, white teeth that gleam when someone smiles. An attractive smile is inviting to others, welcoming them in to your life – for a brief moment in the checkout line or for a more permanent relationship. If you have ever wanted to enhance your smile through teeth whitening, there is no time like the present to make the decision to do it. 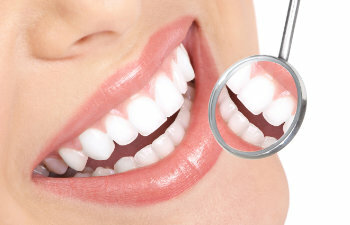 Teeth whitening is the most popular cosmetic dental procedure requested in the United States. This relatively simple and inexpensive cosmetic procedure can transform a dull smile into a radiant one with minimal effort. At Gold Hill Dentistry, we are proud to offer top quality and painless teeth whitening services designed for our patients on an individual basis. We understand that you want to show off your bright, white teeth every time you smile, so we are here to help you achieve the smile you feel confident about. If you find that you hide your smile behind your hands, that you smile with closed lips, or that you avoid smiling or laughing because you are embarrassed by the color or dullness of your teeth, please contact our dental practice today. We offer complete dental care including general family dentistry, restorative dentistry, and cosmetic dentistry to patients in Fort Mill and the surrounding areas. Our goal is to help you achieve a healthy and beautiful smile that you want to show off. We love helping patients finding their brightest and most radiant smile, and we would be honored to serve you. Teeth whitening procedures can be done in office or as an at-home treatment. New teeth whitening patients will receive a take home teeth whitening kit with safe prescription strength whitening gel and will continue to receive a refill kit when they keep their regular six month dental checkups and cleanings. Gold Hill Dentistry is here for our patients, and we look forward to being the dental practice that serves your family with top quality dental care in the Fort Mill SC and South Charlotte NC areas.